Exclusive! 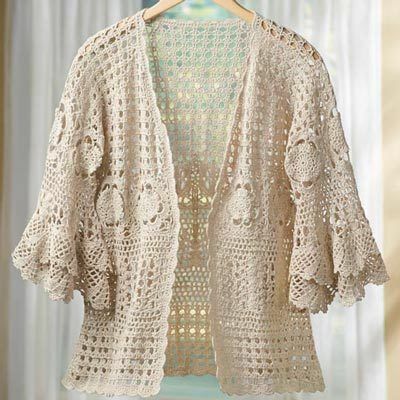 Cozy up to this soft, cream colored Boho Chic Crocheted Sweater. Three-quarter layered bell sleeves come together in open-knit crochet with scalloped trim around the bottom hem, neckline and sleeves. Cotton. Machine wash. Imported. Misses, approx. 25"l.